Receive Pneumonia Diagnosis & Treatment - Book An Appointment Today! Pneumonia can affect anyone at any age, and unfortunately, you do not have the equipment or medications to combat pneumonia on your own. Sure, bed rest and fluids will help, but you need a health care provider to provide you with top-quality care, but don’t let just any medical professional treat you. Instead, receive personalized care by visiting our pneumonia doctor for a diagnosis and treatment. Do you feel feverish or nauseated, or have you suffered from chest pains? These are just a few of the many symptoms of pneumonia. Montgomery Medical Care offers individualized pneumonia diagnosis and treatment in Gaithersburg, MD, to improve your health. Walking—Walking pneumonia is caused by mycoplasmas, and it most commonly affects school-aged children and adults under 40 years of age. The symptoms are similar to that of bacterial and viral pneumonia, but they are milder. Chemical—Usually caused by a bacteria or virus, chemical pneumonia is an unusual type of lung irritation or inflammation caused by poisons or toxins. Bacterial—Bacterial pneumonia is very common. It is an infection of one or both of the lungs. Viral —Some of the same viruses that cause the common cold can also cause or lead to viral pneumonia. These viruses are the most common causes of pneumonia in children under five years of age. Though viral pneumonia is usually very mild, some cases are severe. Once our pneumonia doctor has identified the type of pneumonia, we can create a pneumonia treatment. Your treatment depends on the severity of the condition, your age and your health. Most pneumonia cases can be treated at home with medication. The most common pneumonia treatments include antibiotics, fever reducers, and cough medications. In some instances, hospitalization may be necessary, though this will be determined on a case-by-case basis. Your needs aren’t exactly the same as other patients’. That’s why, at our office, our pneumonia doctor and trusted medical staff has the knowledge needed to create a pneumonia treatment specifically for you. Pneumonia isn’t the only illness that can affect your health. Bronchitis, the common cold, and influenza can leave you feeling miserable! 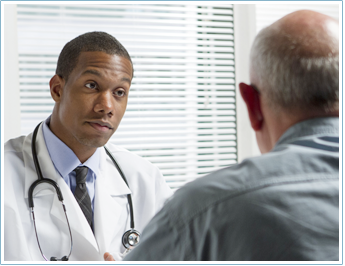 Make a full recovery quickly when you visit our primary care doctor for a treatment.